Includes headphones and audio cable only. No additional cables, batteries, cases or original packaging included. 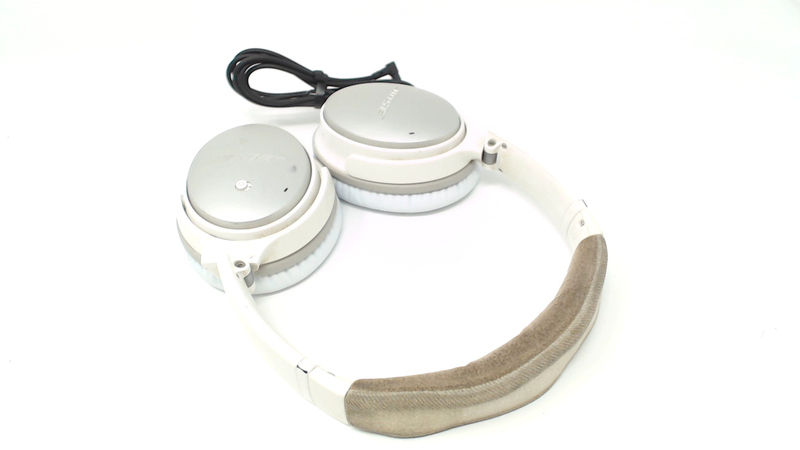 Plays music fine but the headband is stained/has very heavy wear and the ear pads are new, but bright white. WIRED USE ONLY. QuietComfort 25 Acoustic Noise Cancelling headphones are the best-performing around-ear headphones from Bose. They give you crisp, powerful sound--and quiet that lets you hear your music better. Bose advances their industry-leading headphones with the latest proprietary Bose Active EQ and TriPort technology, giving the music you love deep, clear sound. At the same time, Bose noise cancelling technology monitors the noise around you and cancels it out, helping you focus on what you want to hear--whether itâ€™s your music, your calls or simply peace and quiet. With a distinctive design and two color options to match your style, these headphones look as good as they sound. 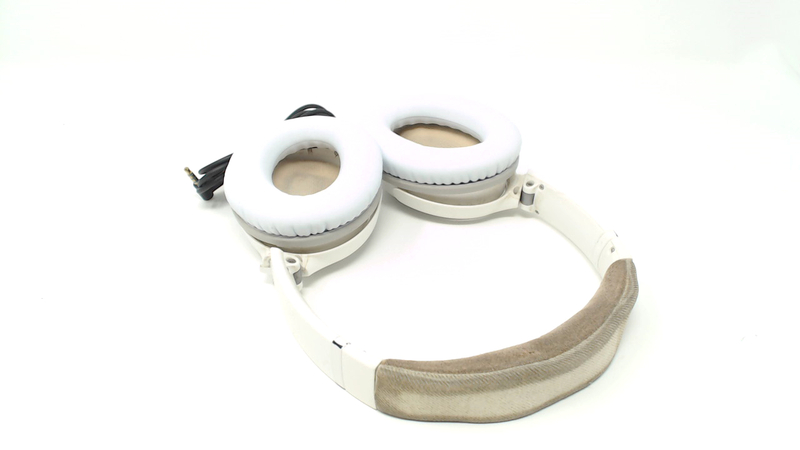 Theyâ€™re also comfortable, durably made and easy to stow, with earcups that pivot to fit in a small carrying case. Customized for Apple devices.